Giving media interviews can raise scientists’ profiles if they prepare well and manage expectations. The phone rings in Chwee Teck Lim’s office at the National University of Singapore. He answers enthusiastically, yet with a bit of apprehension. On the other end of the line is a reporter, eager to hear about the biomedical engineer’s latest research. But will she describe his work accurately? Will she give credit to his collaborators? Lim knows from experience that the final article or broadcast probably won’t come out the way he expects. But so long as the essential points of Lim’s work are covered correctly, he’s happy. “They are doing me a favour by publicizing my research,” he points out. Preparation is crucial: to effectively convey your message, you need to define it first. It’s also important to understand the media outlet and the needs of its audience, and to recognise that you will surrender control of the final product to the reporter or producer. For those who are new to being interviewed or being on camera, training courses — and simple practice — can make the experience easier, even enjoyable. Giving interviews can benefit a research programme, too. The press office at Imperial College London has informally tracked the outcomes of Imperial scientists’ media contact. Interviewees report more citations for their work, contacts from potential collaborators and invitations to speak at conferences, says Laura Gallagher, head of news and media at Imperial. 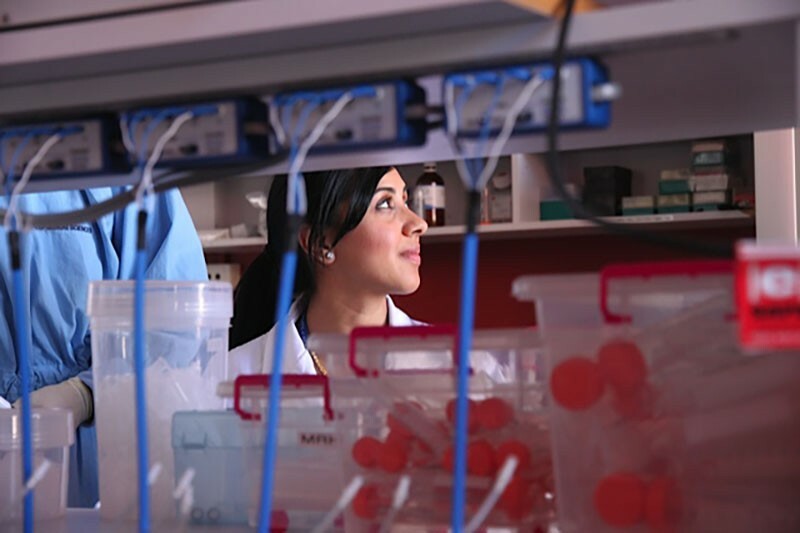 Scientists who speak to the media might be approached by industry investors, philanthropic donors or volunteers who are eager to participate in clinical trials. Dean Falk, an evolutionary anthropologist at Florida State University in Tallahassee, has a reporter to thank for a valuable collaboration. In 1994, Associated Press science writer Malcolm Ritter contacted her about a paper written by researchers in Austria on radio imaging of Ötzi, the iceman found mummified in the Austrian–Italian Alps (D. zur Nedden et al. Radiology 193, 269–272; 1994). Falk praised the paper, then forgot about it. Later, Ritter wrote back. One of the study’s authors, Horst Seidler at the University of Vienna, wanted Falk’s contact details so that he could invite her there. That led to a long-standing collaboration: the researchers co-wrote papers; Falk joined the team on field expeditions in Ethiopia; and she gained an honorary appointment at the University of Vienna. 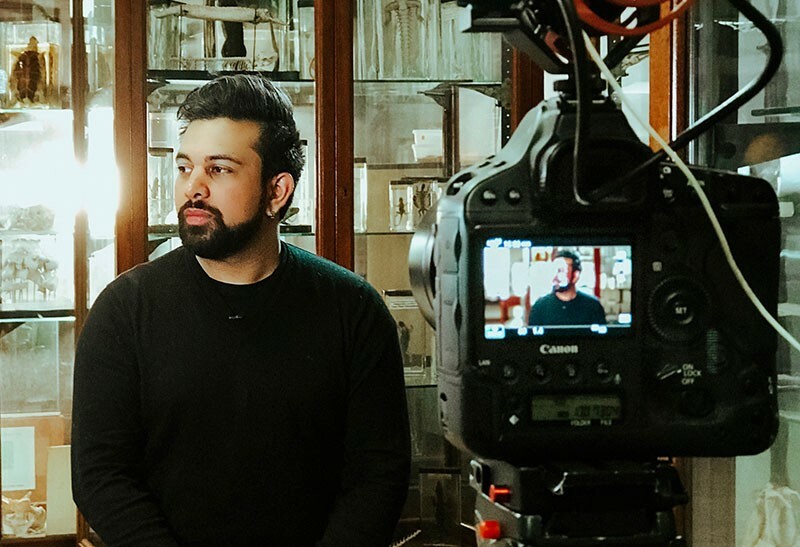 Shivan Parusnath, a graduate student in zoology at the University of the Witwatersrand in Johannesburg, South Africa, thinks that media interviews boost his employment chances by publicizing his name and accomplishments. And talking to the media has helped his research, too. He studies a vulnerable lizard called the sungazer (Smaug giganteus), and media coverage of his work has led farmers to contact him about sungazers living on their property. They invite him to visit and take samples for his DNA database. Before any interview, Parusnath and other media-savvy scientists prepare. They find out what the article or programme will be about, and distil what they want to say into two or three key messages. “When the interviewer asks you a question, mentally run through your list to see if any of those points can serve as an answer,” says Sabrina Stierwalt, an astrophysicist at NASA and the California Institute of Technology in Pasadena. “You’ll be less likely to get sidetracked.” Scientists can come up with analogies and examples to use instead of technical jargon, and it’s also helpful to understand basic media concepts such as ‘off the record’ (see ‘What interviewees need to know’). Here are important terms and tenets to remember about interviews with journalists. On the record. Anything you say to a reporter is, by default, on the record and can be attributed to you. Off the record. Nothing from this conversation can be published. The journalist must agree to these terms before the discussion. Some media professionals caution that it’s safest to assume that everything is on the record, however, and to speak accordingly. On background. This also requires an agreement between the reporter and source. It may mean that the information is publishable, but cannot be attributed to you, or that you can only be described in vague terms, such as ‘a government researcher’. Embargo. When a paper is coming out in a scientific journal, those findings are considered embargoed — temporarily restricted from being published elsewhere. Reporters don’t release news of the study until a date set by the journal. In return, they get advance access. It’s fine to speak with journalists before the embargo date, but it never hurts to remind them of the embargo. Results presented at large scientific meetings are also fair game for news coverage, and reporters are usually aware that data are preliminary or not yet peer-reviewed. Journals vary in their proscriptions for presenting scientists. For example, Science and the Journal of the American Medical Association say that scientists can talk to journalists, but should limit their conversation to what was in the presentation. As for talking to reporters about unpresented results well before publication or even submission, again, policies vary. When in doubt, consult with press officers from your institution or the journal for guidance. Reporters might not provide their specific questions ahead of time, but they can usually offer some idea of their topic or angle, says Sanam Mustafa, a molecular pharmacologist at the University of Adelaide in Australia. If they won’t, something’s fishy. For example, she underwent media training as part of her participation in the ‘Superstars of STEM’ programme, which publicizes women in science and technology in Australia. Just before International Women’s Day on 8 March this year, a controversial television show contacted the programme’s media officer, looking for interviewees. The producers promised a ‘positive’ story, but when the media officer pressed for more details, they wouldn’t say anything else, and rescinded the invitation. Natalie Hodgson, a media manager at the Wellcome Trust, a biomedical research charity in London, adds one more key question to consider: “What is the headline that you wouldn’t want to see?” Thinking about that hypothetical horror helps scientists to focus on clear explanations and remember to bring up any caveats about their work, she says. Tara Shears, a particle physicist at the University of Liverpool, UK, likes to spend 20 or 30 minutes before an interview writing down what she plans to say about her work at CERN, Europe’s particle-physics laboratory near Geneva, Switzerland. For her, research on antimatter is about understanding the nature of the Universe. But she realizes that might be rather abstract for a commuter skimming the news on the train. To relate antimatter to everyday life, Shears often turns to what she calls her two “golden fallbacks”. One is to point out that medical PET (positron emission tomography) scanners work only because of antimatter: the radioactive tracer emits the antimatter version of an electron, and its destructive clashing with a regular electron creates the signal that the scanner reads. Shears also likes to mention that bananas emit antimatter, because the fruit contains a radioactive isotope of potassium. “It’s not dangerous,” she hastens to add. Lim makes sure to prepare resources that might help the reporter. These could include a live demonstration, slides showing samples or prototypes, images with copyright information and the names of other scientists who could objectively comment on his work. But no preparation will give researchers control over the final piece. Scientists can ask to see the final copy before it airs or goes to press, but the answer will probably be no. According to the Sense About Science survey, some reporters will occasionally send the relevant portion of an article or a scientist’s quotes. But most science journalists never send the entire piece for an interviewee to check. Why not? One reason is practical. Journalists often work to tight deadlines, putting the finishing touches to stories right before they go live. There isn’t time to track down all the scientists again. The other reason is ethical. “It’s a basic journalistic tenet that subjects don’t have editorial control over the product,” says Bruce Mohun, a television science journalist in Vancouver, Canada. Most political journalists would never show the president or prime minister their work before publishing it; science journalists work in the same way. Reporters will return to interviewees to clear up a point or check a fact, but errors can and do creep in. Journalists will be eager to correct factual mistakes, says Ritter. “I think we would also take a serious look if there was not a factual error, but if we gave a wrong impression about something,” he says. Other changes to published work are less likely to happen. “Where reporters are going to be less sympathetic is if you just want to change your quote, or if a reporter has skipped some detail,” says Valerie Jamieson, creative director of the UK New Scientist Live exhibition. Writers and producers might leave out information that scientists think is important. For example, Parusnath once spent four days in the field with a member of 50/50, a long-running environmental TV programme in South Africa. In between catching sungazers and talking about how people affect the lizards, Parusnath was careful to mention his funding sources and collaborators. Jamieson explains that long lists of collaborators or funding sources, or detailed job titles, simply aren’t interesting for readers or viewers. And with only a few hundred words or a couple of minutes in which to share the key points of a study, there just might not be room for those details. Lim has a strategy to share the limelight with his collaborators: he invites them to the interview. He’s an engineer, but if the study has clinical implications, he’ll ask a clinician to join in to answer questions Lim can’t. If that all sounds daunting, there are ways to get better at interviewing. Press officers can run a mock interview to help scientists warm up. And training courses can also help researchers to gain confidence, says Shears. She took a one-day workshop offered by the Royal Society in London to practise on-camera work. “It was the most excruciating day of my whole life,” recalls Shears, who did three practice interviews and then watched them with the other students. But she learnt a lot — including her tendency to avoid focusing on the camera when asked to, which she has since corrected. Being on the radio or TV certainly adds an extra layer of complexity to interviews, although the basic tenets of preparation are the same as for written articles. It’s particularly important for novices to practise what they want to say if they’ll be on air live, with only one chance to get the story right. For radio interviews, a researcher might have to go into the studio, or the producer might be able to record the scientist by phone if a high-quality landline is available. For television, researchers should plan ways to show the camera what they’re doing. For example, if a mathematical formula is key to the research, the producer could film the researcher writing it on a whiteboard, suggests Mohun. Mustafa has learnt not to worry as much as she used to. “I think sometimes we can be our own worst critic,” she says, recalling her first radio interview, when she thought she bombed. But when she listened to the programme, it was good. “Every time you do an interview, you will get better at it,” she says.